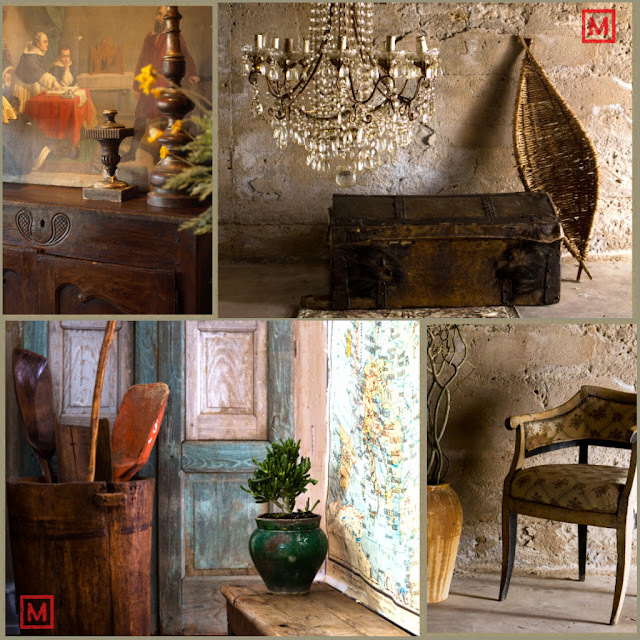 Remember Mercato from the Lauritzen Gardens Antique Show? I mentioned them in my posts about the show. (HERE and HERE) Mercato is located in Kansas City and has a 3,000 sq ft space filled with gorgeous Italian antiques. They go to Italy, they find great things, and they bring them home! "In 1964 the Buon Ricordo union of restaurants was founded in Italy. Each plate represents the culinary specialty of each member restaurant. Buon Ricordo translated means "good memory" and these plates provide the patrons with good memories of a good evening and meal at a particular restaurant." Their photo gallery is amazing! 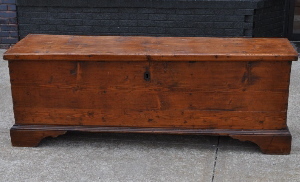 The gorgeous old wood and patina add such charm! I think this is piece is a real stunner... 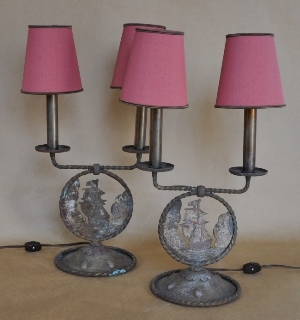 It would be great in a number of places in my home adding character and warmth. 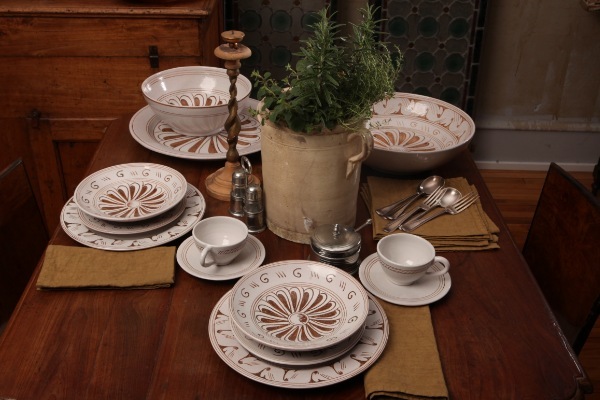 A new line of Italian tableware and serve ware based on centuries old historical Italian designs and colors is the newest thing at Mercato. 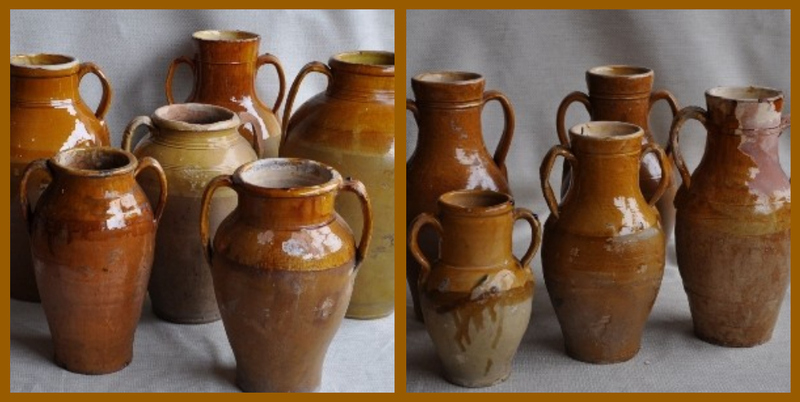 Hand-thrown and painted by Italian artisans, they are absolutely wonderful! They will be available online very soon. You can visit Mercato anytime by clicking on their sponsor button in my sidebar.... Be on the look out for this new line! Here's a taste of the designs and colors... scrumptious! 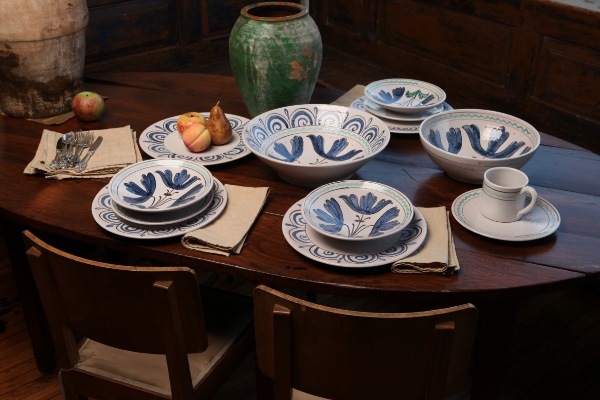 Need something Italian and gorgeous in your home? Click on the link below and visit Mercato today! 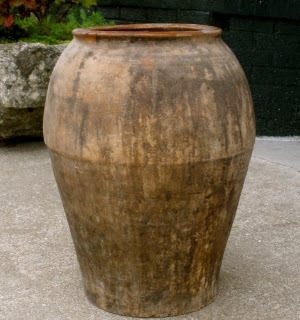 Love the earthy feel - so great, especially for this time of year! They look like the have wonderful things. Wish i lived closer. What marvellous finds and would be such a fabulous place to visit. Can you not think of a more exciting career than traveling to Italy to buy things to fill a gorgeous shop? Thanks for the link! 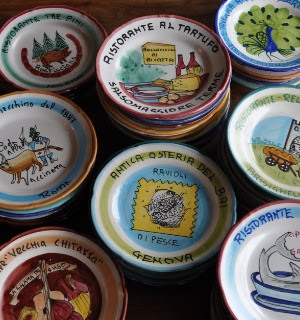 I just love those Buon Ricordo plates... would love to have a collection on my table. Anything handpainted is just so appealing. The collage at top is great too: the textures are amazing. Oh, that black belt in shopping, we've got it!